The M.Phil. program in clinical psychology started in 1998 AD at Institute of Medicine, Tribhuvan University Teaching Hospital (TUTH). The installation of this academic program was greatly supported by United Mission to Nepal (UMN) with the purpose of capacity building and human resource development in the mental health sector. UMN is one of the first INGOs to run community mental health projects in Nepal around 1980s. The MPhil program offers a good opportunity for students who are interested to specialize in clinical psychology with hospital based residential training. The psychology students in Tribhuvan University are getting little exposure and very less clinical supervision required to work as a professional in this area. Students are theoretically trained but the practical experiences are lacking. They have the required knowledge but they are missing opportunity to apply it and increase their competencies. With none of the psychology students able to make it to Mental Hospital, the one and only mental health institution for the whole population of the country, this program kindles the hope that they will be able to make it there one day. The psychology students deserve a chance to work and contribute at Mental hospital and other hospitals in Nepal. They can help to fulfill the demand for adequate human resource required to serve the people. At the same time, this could also help to fill the gap between the need and delivery of the mental health services in the nation. This post has been prepared from the primary data obtained during the interview that I did with Ms. Mita Rana on 22 February 2011 at TUTH. I would also like to thank Mr. Suraj Shakya (current MPhil Student) for sharing his insights and helping me contact Ms. Rana. The entrance exam forms are now open and being distributed at TUTH. The entrance exam will be held on May 22 2011. Click here to listen to this Shrink Rap Interview with Drs. David VanNuys and Philippe Goldin. Philippe Goldin, Ph.D., is a research scientist and head of the Clinically Applied Affective Neuroscience group in the Department of Psychology at Stanford University. He spent six years in India and Nepal studying various languages, Buddhist philosophy and debate at Namgyal Monastery and the Dialectic Monastic Institute, and serving as an interpreter for various Tibetan Buddhist lamas. He then returned to the U.S. to complete a Ph.D. in Clinical Psychology at Rutgers University. – training children in family and elementary school settings in mindfulness skills to reduce anxiety and enhance compassion, self-esteem and quality of family interactions. Clinical Psychology is taught at the Master’s Level in the Tribhuvan University. Psychology students study in their MA level and start working as a psychologist, others go on to do M.Phil (additional 2 years course) at Tribhuvan University Teaching Hospital to become the clinical psychologists. 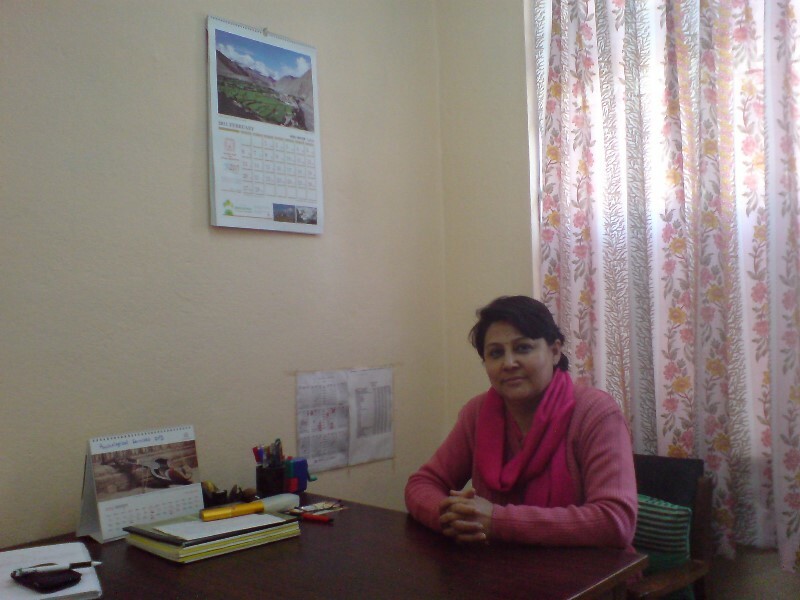 There are very few clinical psychologists in Nepal and almost all of them are working in the urban centers. There is no proper mental health care system for people living in the rural areas. People mostly visit faith healers to seek help for their problems. People with severe mental disorders and their family members are targets of stigma and discrimination in the society. Due to the stigma attached with their problem, they hesitate to come forward for appropriate treatment even when services are accessible. According to various reports, 25-30 % of the general population has one or more mental disorders. Very few epidemiological studies have been done so far to find out the incidence and prevalence of mental disorders in Nepal. It is estimated that the total prevalence rate of all psychiatric disorders put together exceeds more than 20 % of the total population. Majority of the people in Nepal take mental disorders not as disorders or problems which could be solved or treated but as a moral weakness caused by supernatural forces like Bhoot [ghost], Boksi [witches], Mohini [black magic], Paap[sins of previous lives ]or as a result of celibacy. There is an utter lack of awareness that mental disorders are treatable. There is a concept that once, a person becomes mad, her/his condition will remain the same for the rest of the life. The patients, who have recovered fully from mental disorders, also continue to be stigmatized and discrimanted in their society and work places on the basis of their history. Unfortunately, there is no law in Nepal to protect someone with mental illness. In the civil code [muliki ain], the legal definition of mental illness is not clarified, but the language of the legislation refers to someone with broken mind [magaz bigreko] or madness [Baulayeko]. The Local Administration Act of 1972 gives the power to the Chief District Officer to detain mentally ill people in jail either for their own safety or for the safety of the community. Today there are more innocent mentally ill people in the jails of Nepal, than there are in the psychiatric wards. The National Mental Health Policy formulated in 1997 has not yet been passed in legislation. As an element in primary health care, mental health continues to have a low priority on the national health agenda. Only 0.14% of the national health budget is spent on mental health and the government keeps no official record of the mental illness prevalence rates of the country. Psychoeducation can be an effective method for awareness raising related to mental health. Psychosocial counseling services need to be regulated through proper system in order to ensure the quality and effective service to the clients and consumers. There is an urgent need for the licensure system for the practising counselors. The term “Counselor” has been often misused and expolited in context of Nepal which could mislead people and ultimately, give the negative and wrong understanding of the counseling. At the moment, people with psychological and behavioral problems are referred to Mental Hospital, Lagankhel, Lalitpur; Teaching Hospital, Maharajgunj; BPKIHS, Dharan; Birendra Army Hospital, Chhawani; Bharatpur Hospital, Chitwan; Lumbini Zonal Hospital, Butwal; Koshi Zonal Hospital, Biratnagar, Morang; Vheri Zonal Hospital, Nepalgunj; Paschimanchal Zonal Hospital, Pokhara. Recently private hospitals have also started to provide the psychiatric services. For the mild psychological and adjustment problems, people are referred to counselors working in different NGOs such as TPO Nepal, CMC Nepal, CVICT, Sahara Paramarsha Kendra, Antardrishti, Antarang, and so on. Cognitive Behavioral Therapy is mostly used to treat the psychological problems by the clinical psychologists and client-centered counseling is practiced by the counselors.